The completion of a fine piece of Needlework requires an extraordinary commitment, skill and artistic sense. 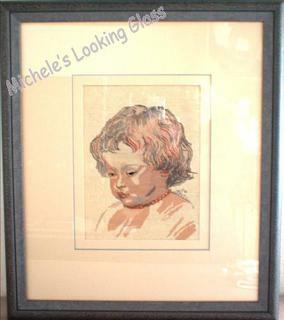 Good framing helps preserve it for future generations. 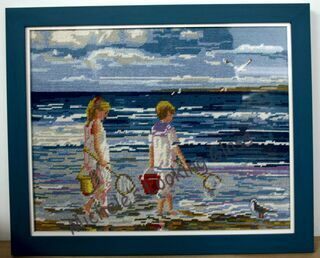 Be sure to have your needlework laundered prior to framing, to avoid future discolouration from oils transferred from your hands to the yarn. 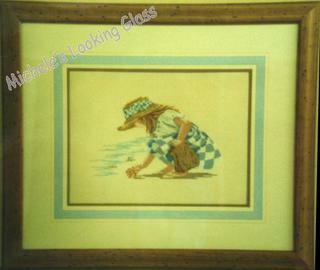 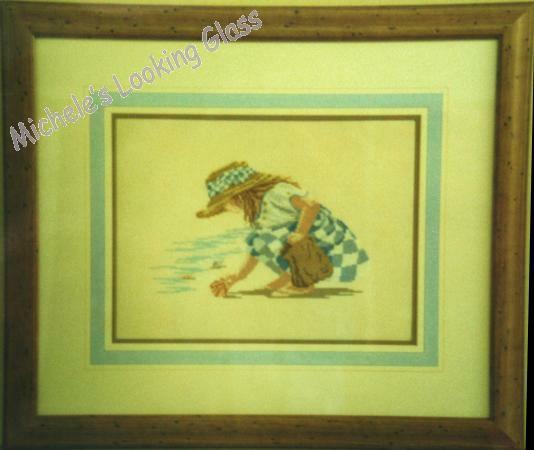 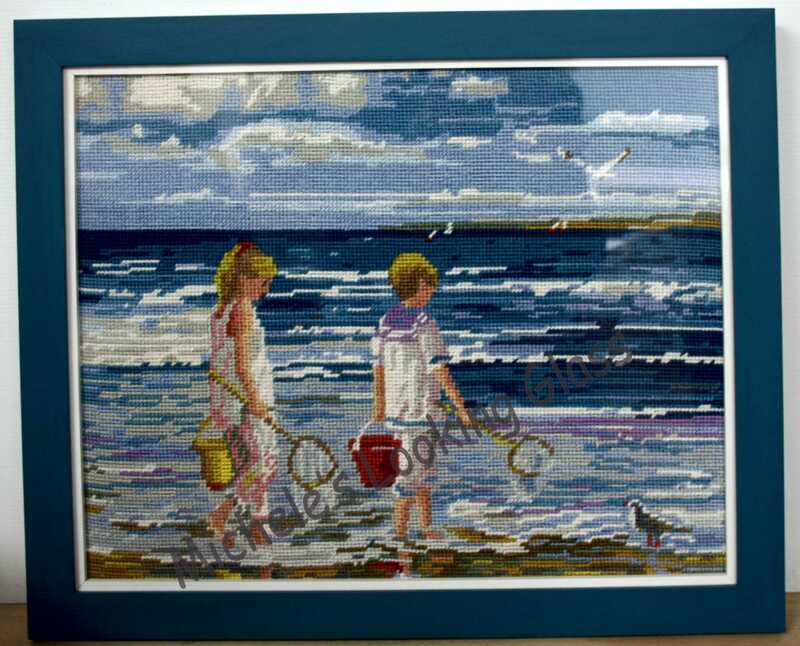 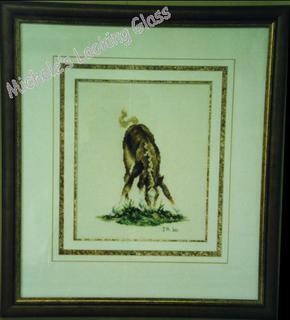 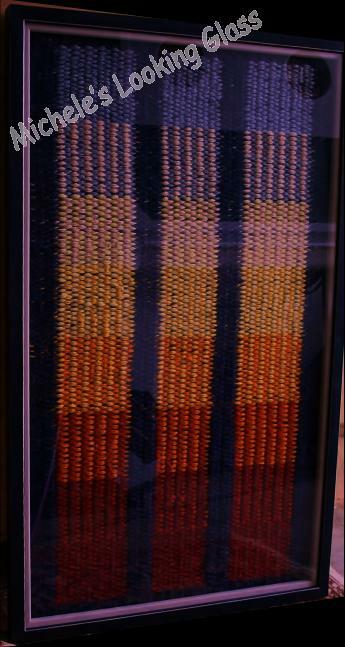 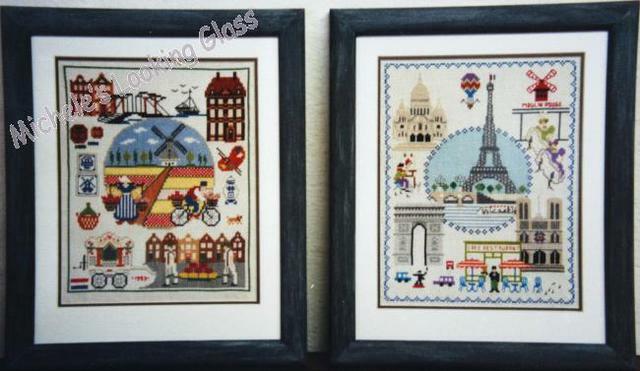 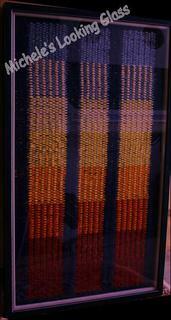 There are several different approaches to framing needle art and textiles, depending on the attributes of each piece. 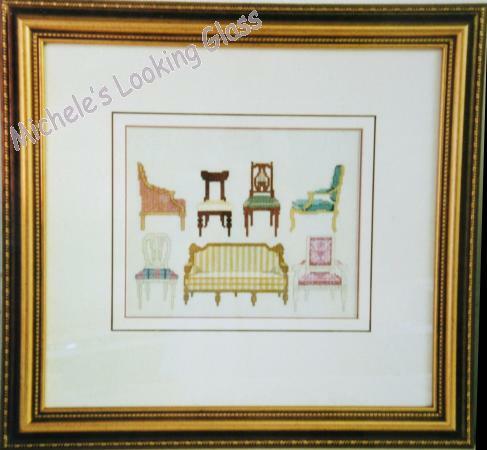 Michele will discuss these with you, and can assist you with: needlework, embroidery, tapestries, counted cross-stitch, crochet, crewel, ribbon embroidery etc. Conservation framing techniques and materials are recommended to ensure the longevity of your work and alternatives will be discussed with you in detail. 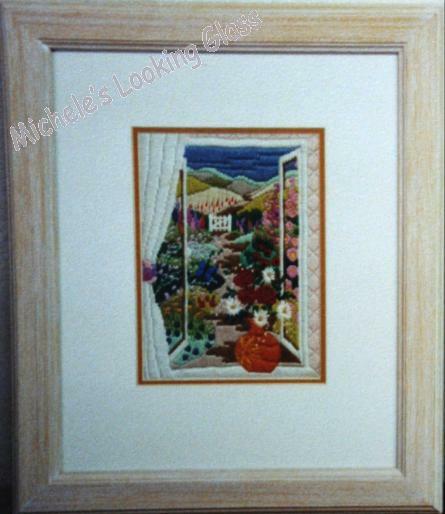 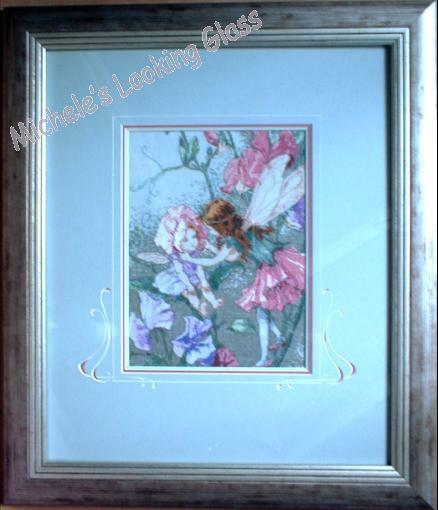 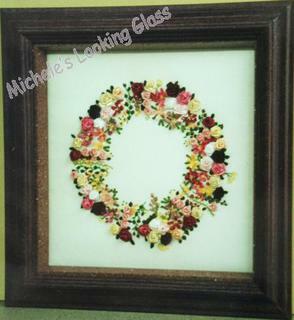 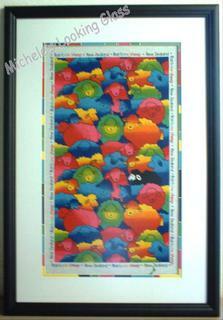 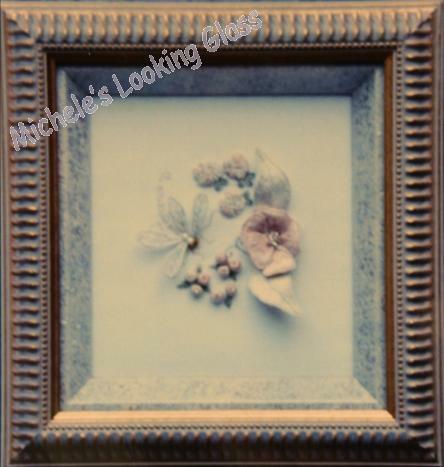 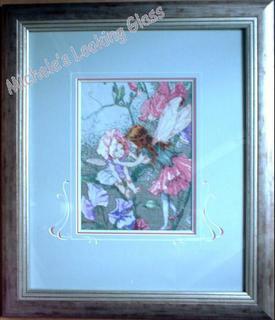 The following images showcase some needle art Michele has framed. Some of them were badly damaged due to bad framing techniques. Although not the ideal solution, by using unique decorative techniques, it made it possible for later generations to keep the memory of their loved ones alive. 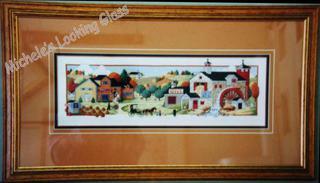 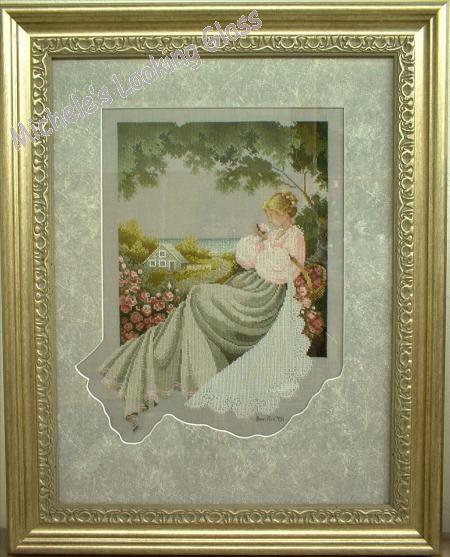 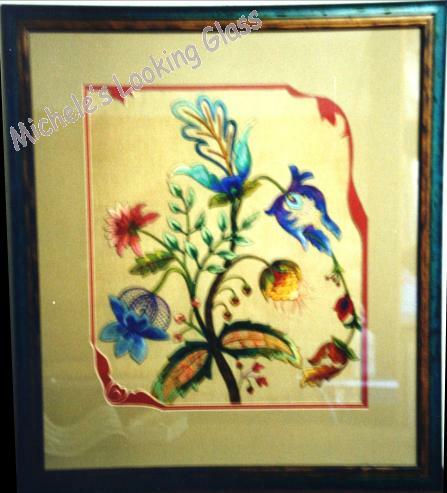 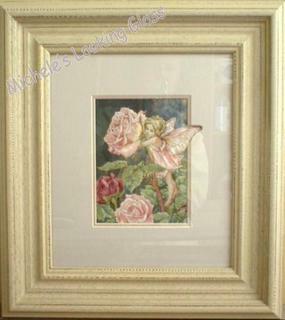 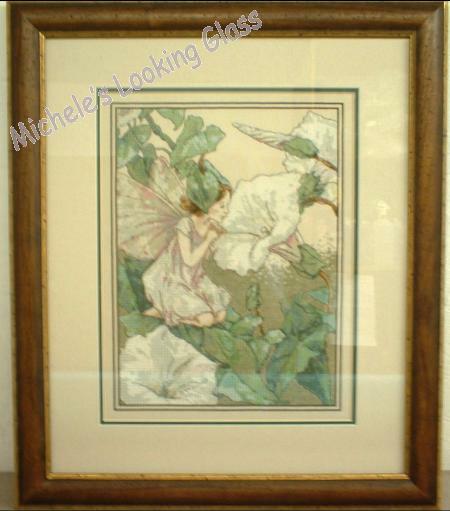 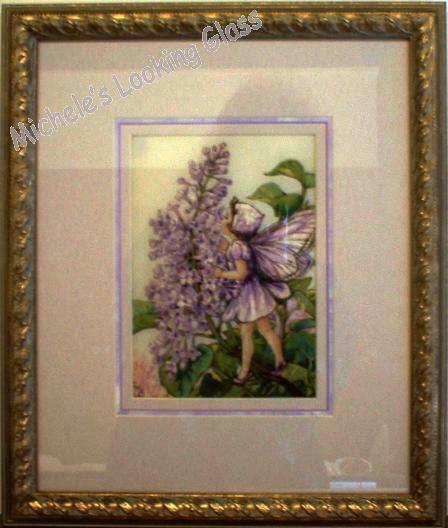 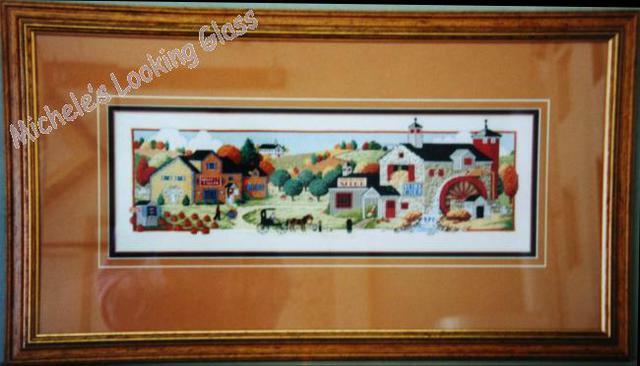 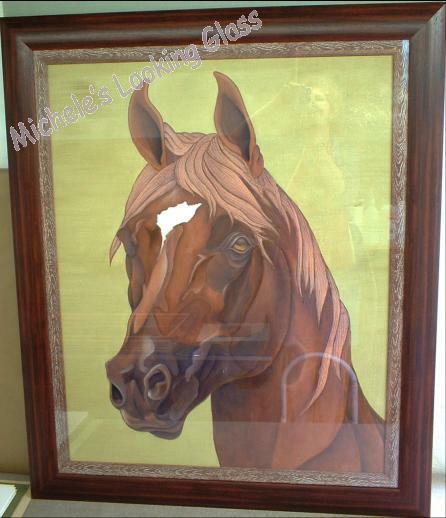 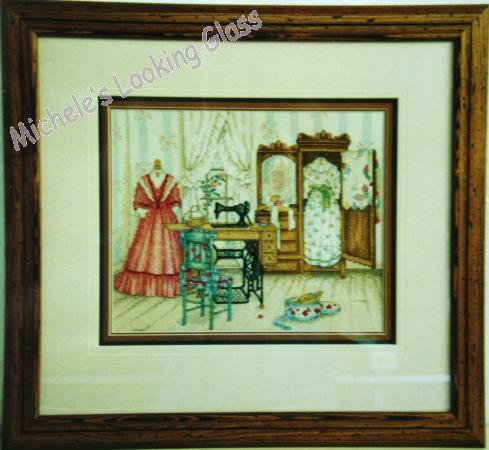 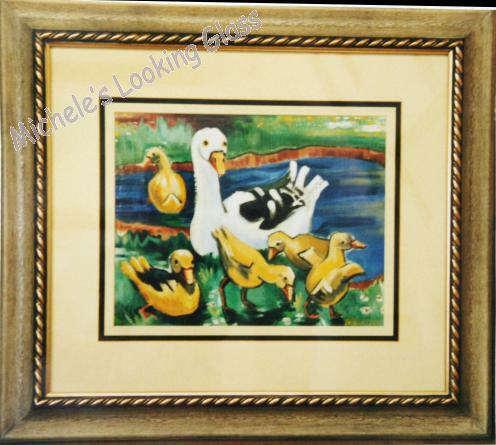 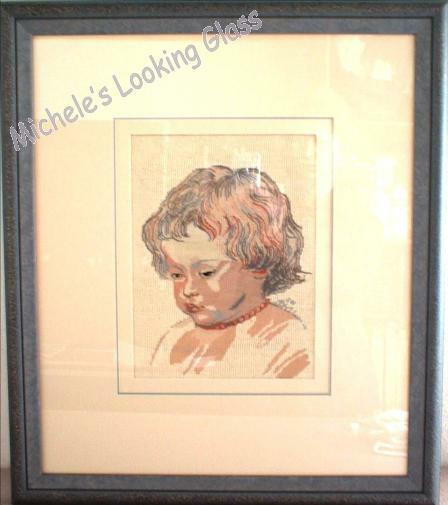 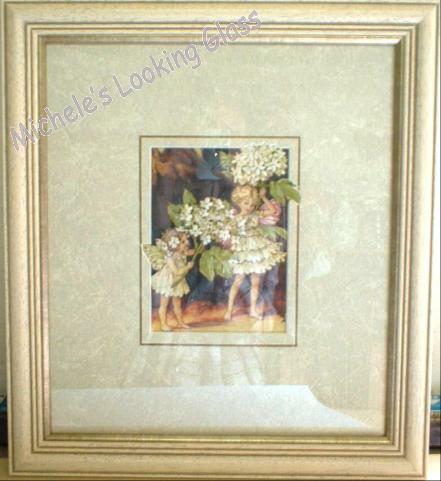 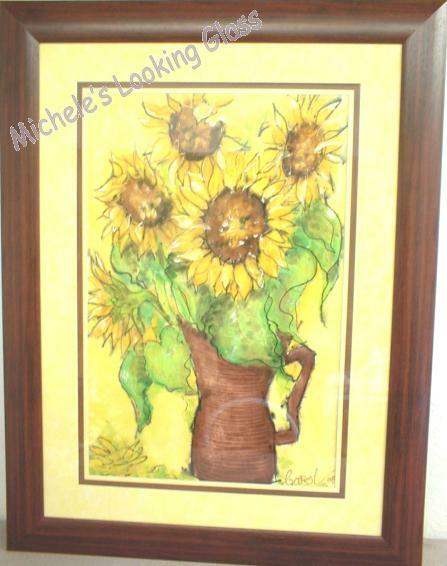 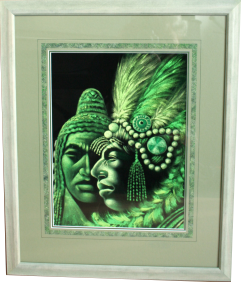 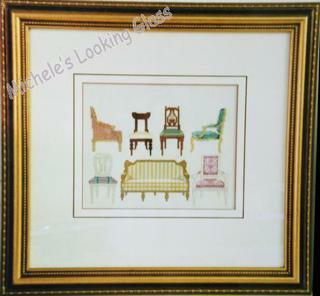 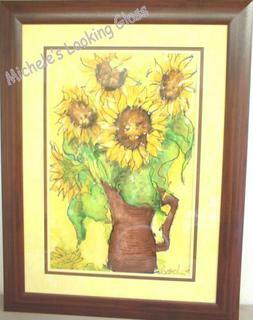 Framed fabric paintings are included in the images below. 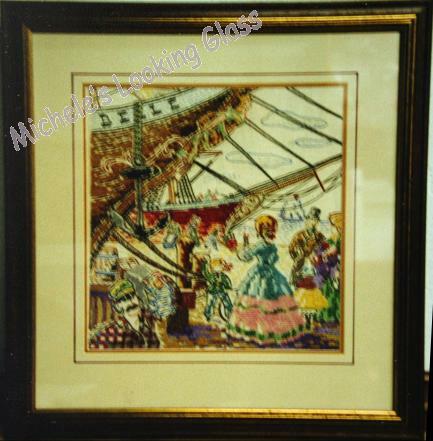 An inner frame was used to lift the glass away from the art. Mat board carved around the image. 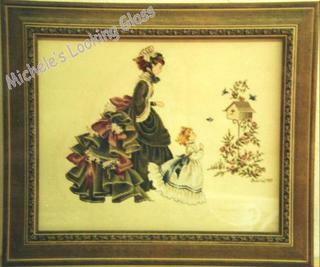 Adds interest and shows off the entire piece. Notice the carving of the mat boards by wing, so that it doesn't get cut off by a square mat board.